Turkey Tour starts from Istanbul with your transfers at 06:30 in the morning. 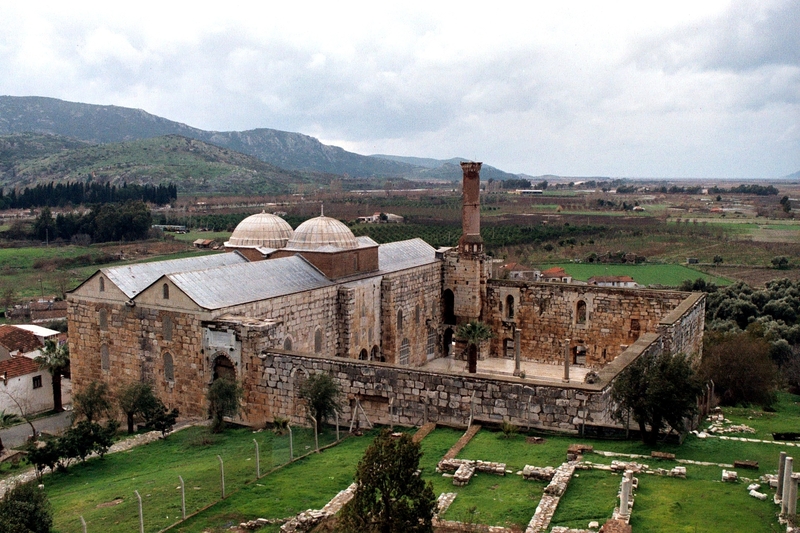 We drive to Gallipoli peninsula on the west of Istanbul about 5 hours. 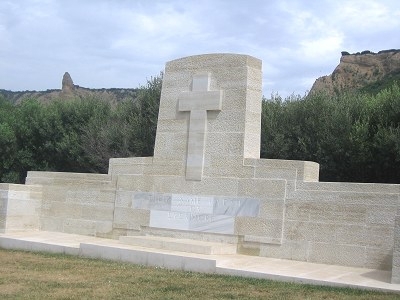 When we arrive we will have lunch and start our Gallipoli Tour with our professional Guide. We will visit Gallipoli battlefield, Anzac cove, Lone Pine, Chunuk Bair, The Nek, Johnstons Jolly and Kabatepe museum. At the end of the tour, we will have dinner and overnight in the peninsula at 3-4 star hotel. We will start the day with breakfast at the hotel. 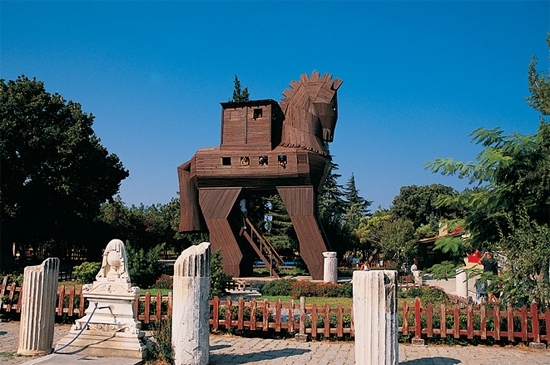 After breakfast we will drive to Troy ancient city and visit Troy wooden horse, The walls of Troy Vl with its tower and gateway entrance, Temple of Athena, Schliemanns trench, and The sanctuary. 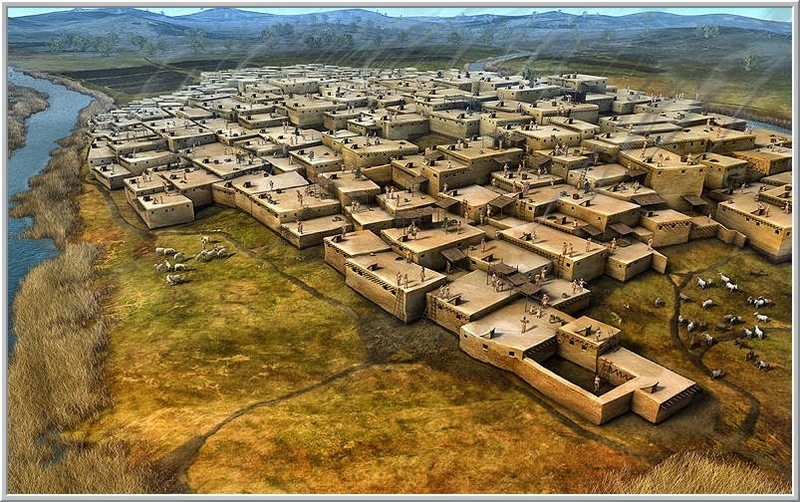 After Troy we will drive to Pergamon and have our lunch. 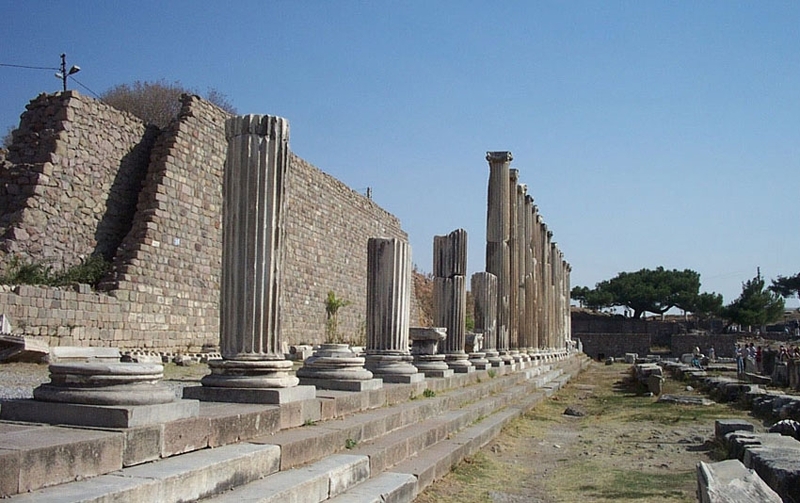 In Pergamon we will see The Temple of Trajan, Hellenistic Barracks and Tower, Temple of Athena, theatre, Red Church and Asclepion was one of the most famous shrines and therapeutic center in the ancient world. When we arrive to Kusadasi which is a holiday town on the south coast, we will check in 4 star hotel, have dinner and overnight. After the breakfast at the hotel, we will start our tour to Ephesus. 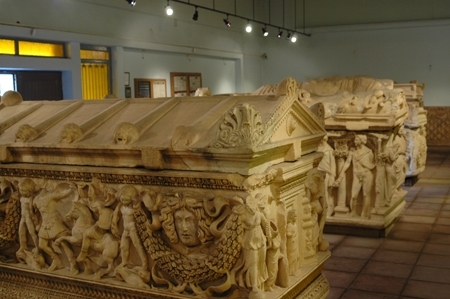 We will visit Ephesus ancient city and House of virgin Mary where she spent her last days. 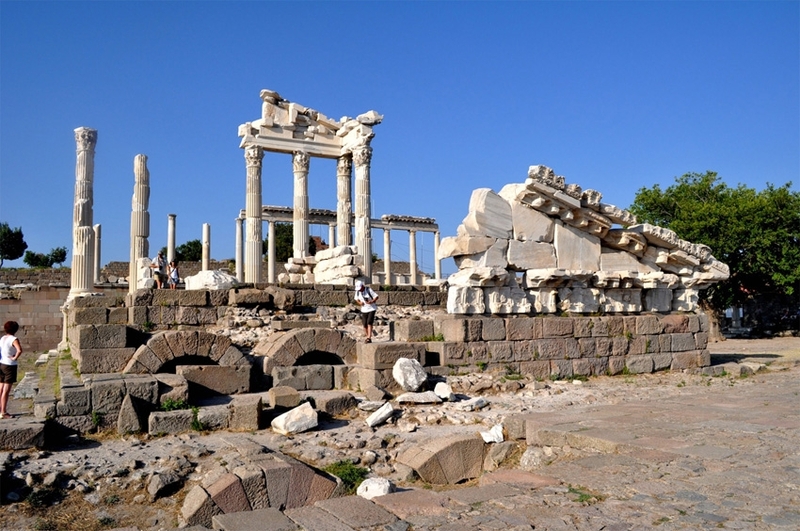 Our visitings are Ephesus ancient city, House of Virgin Mary, Temple of Artemis, Temple of Hadrian, Celcius Library, Ephesus Theatre, Ephesus museum. Lunch will be in Selcuk village. After the tour we will turn back to hotel, have dinner and overnight. We will have breakfast at the hotel and start our tour to Didyma. We will visit Priene, Temple of Athena, Theatre, Miletus, Didyma, and Temple of Apollo. We will have our lunch in Didyma. And we will turn back to hotel. We will have dinner and overnight. We will check out the hotel, have breakfast and leave the hotel for our travel to Pamukkale for 3 hours. On our arrival to Pamukkale Village, we will have lunch and start our tour for Pamukkale and Hierapolis. 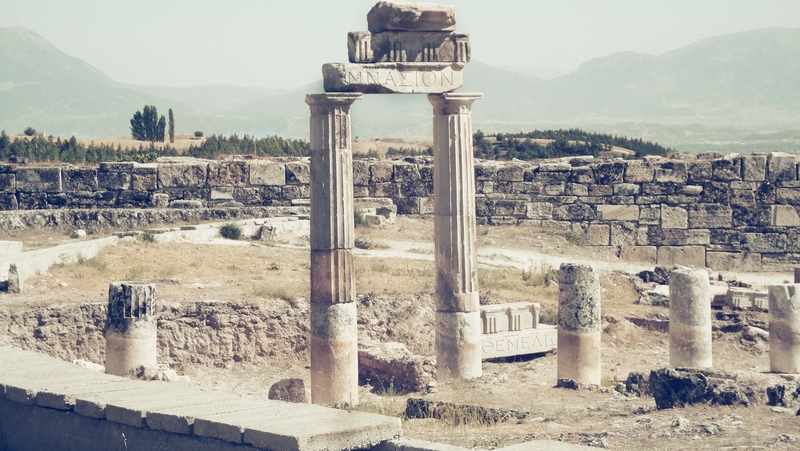 During the tour we will see Pamukkale, Calcium terraces, Cotton Cliffs, Hierapolis, Hierapolis museum, Temple of Apollo, Hierapolis Theatre, Roman baths and Cleopatra thermal pool (extra). 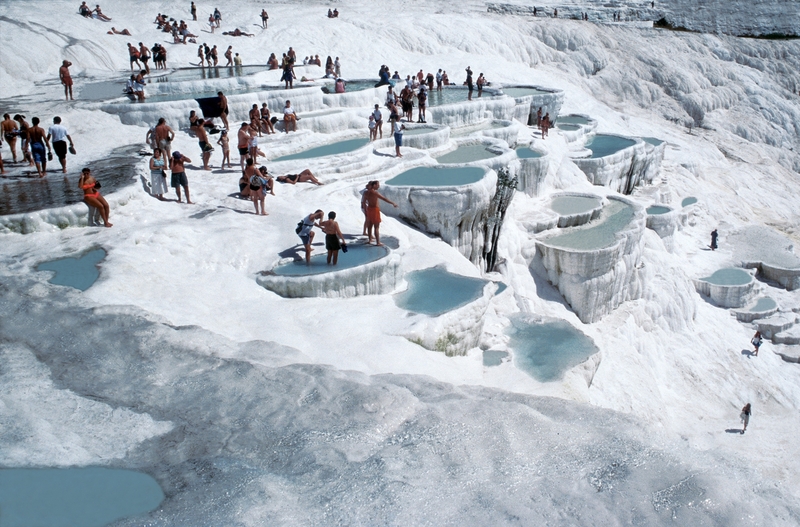 After the tour, have dinner and overnight in Pamukkale 4 star hotel. We will have our breakfast before we drive to Marmaris for small stop and lunch. At the end of the day we will drive to Fethiye. We will have dinner at the hotel and overnight. We will have our breakfast before we explore the Blue Lagoon. Today we will have a boat tour around the Fethiye and Blue Lagoon. Tour includes lunch. After the tour we will turn back to hotel and have some free time around the village. We will have dinner at the hotel and overnight. After breakfast, we will driver to Cappadocia for a long journey. We will have a small stop in Konya and visit Mevlana mosque. 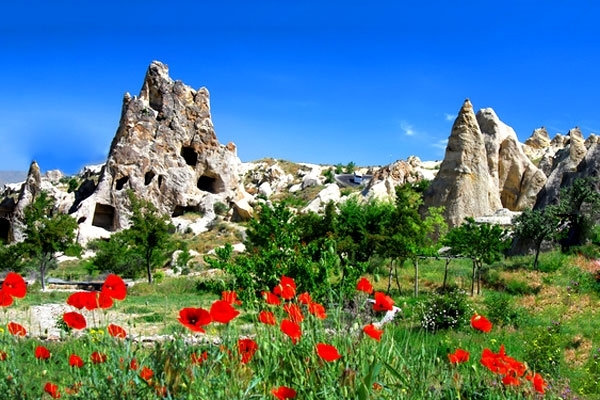 We will have lunch in Konya and go on our way to Cappadocia. We will have dinner and overnight in 3-4 star hotel. We will start our day with a nice breakfast at the city of the valleys. After breakfast we will start our first day Cappadocia tour with our guide. 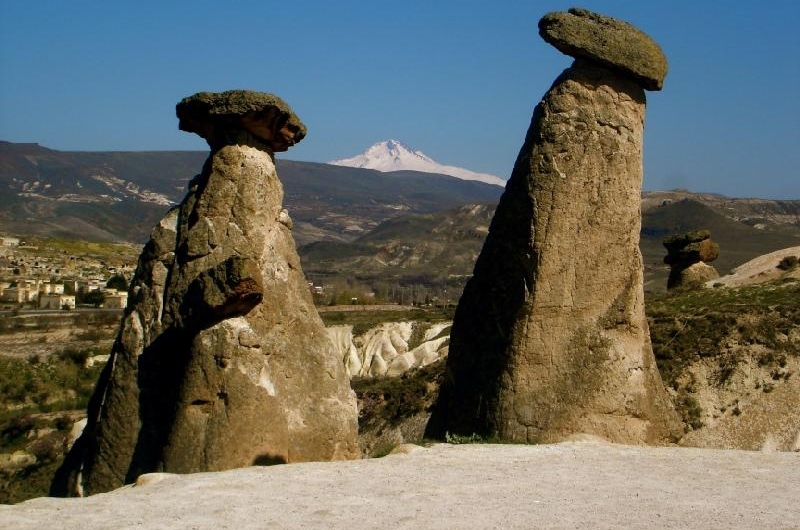 During the day we will visit Devrent valley, Open air museum, Pasabaglari, Avanos, Zelve. After we have lunch, we will see Pigeon valley and Uchisar castle. At the end of the day we will have dinner and overnight at the hotel. After breakfast, we will begin our second day Cappadocia tour. We will see Rose valley, Red valley, and Cavusin. After we have lunch we will see Monastery and Underground city. At the end of our tour we will have dinner and overnight. As soon as we have breakfast, we drive to Istanbul about 11 hours. On the way we will have a small stop in Ankara and have lunch and have a small walk in Ankara. Then we will go on our way to Istanbul. On arrival, we will drop you to your hotels and our tour program ends. Hot air balloon in Cappadocia is extra 100 euro per person for standard 1 hour flight.